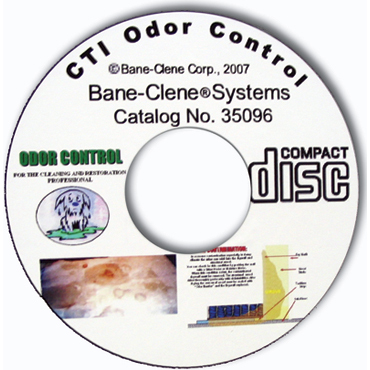 Phase II is designed for those more difficult odor control problems such as smoke, urine, vomit, perspiration, medicines and rancid food oils. Phase 2 is a solution of solvents, fast-acting glycols, liquefiers, couplers, perfume, dual-deodorizing system, and quaternary ammonium chloride (a known germicide) at double the concentration of the previous formulation. Phase II is a high-potency ready-to-use deodorizer that eliminates extraordinarily offensive odors by complex chemical interaction. It is not a cover-up or a masking agent. 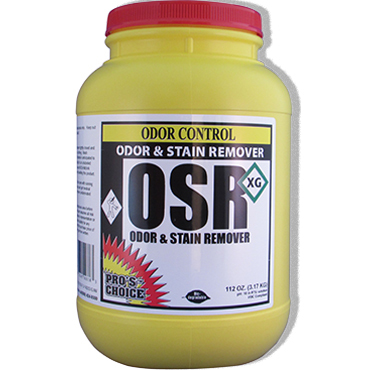 Phase 2 kills animal odors, human and pet “accident” odors, smoke damage odors, kitchen odors, musty odors and mildew odors. Phase II can be applied through a Viton sprayer, atomizer for cold fog application. For those more difficult problems such as smoke, urine, vomit, perspiration, medicines, and rancid food oils, we recommend Phase II. 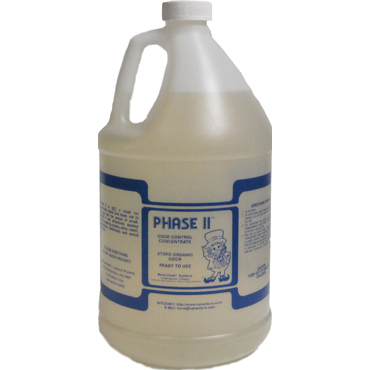 Phase II is a Ready-to-Use Solvent-Based Odor Control Concentrate for Professional Carpet Cleaners. NOTE: We have replaced one of the active ingredients in Phase II to improve its effectiveness. This new ingredient has little or no color. Therefore you may see a change in the appearance of the product when you buy it. Rest assured that the change is for the better. We are always trying to improve our products to make them the best available. Form: Clear, colorless to very light amber liquid. Storage: Protect product from freezing. Keep container closed when not in use. Flammable - keep away from high temperatures and ignition sources. Do NOT use on stain-resistant nylon carpet. 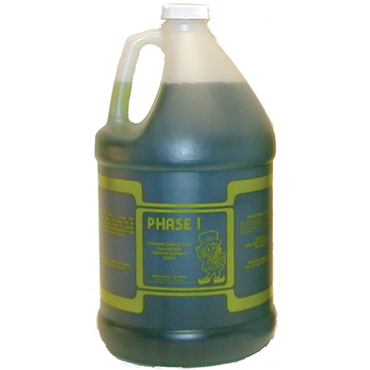 Do not add Phase II to the solution tank or dilute it with water. 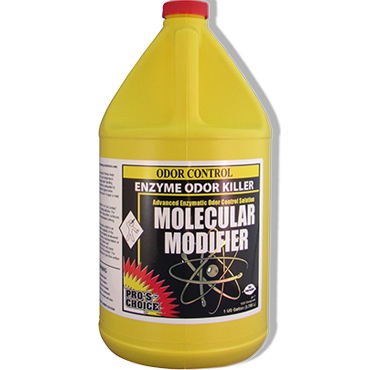 Phase II contains isopropyl alcohol, which can set off a carbon monoxide alarm when sprayed. 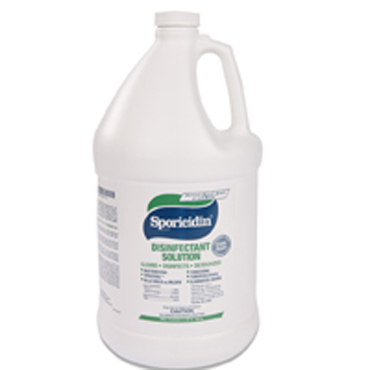 For severe cases, apply to damp surface of carpet or rug after cleaning. Use a fine, even mist. Brush in with a grooming rake. 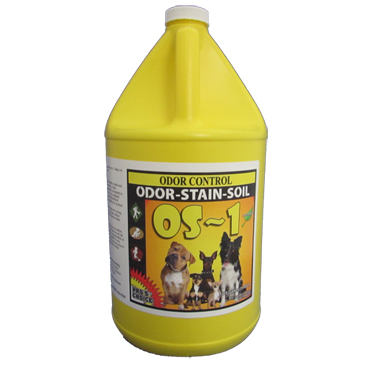 For concentrated odor problem on carpet, inject Phase II Pet Urine Odor Treatment directly into carpet backing and carpet pad, even upholstery - puts the deodorizer directly where the urine odor is coming from because most of the pet urine, whether dog urine or cat urine, is not in the carpet but is in the backing, the carpet pad and the subfloor! 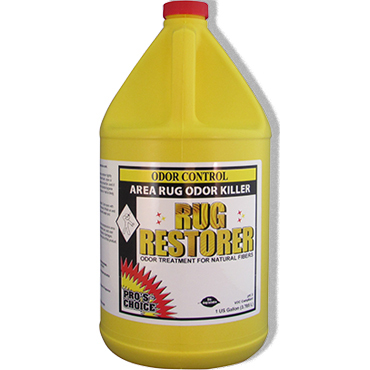 Inject with the Multi-Sprayer Injection needle or the injection needle kit catalog #30420 to inject Phase II through the carpet to the pad or source of odor. Warning: Extremely sharp end on product, use with caution. - Do not poke yourself or anyone else. Keep out of reach of children. Fill the injection kit with your chosen urine deodorizer. Insert the tip through the carpet backing into the carpet pad. Lift and inject the solution into the pad. 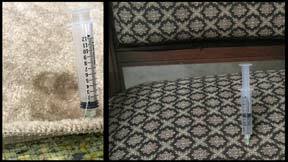 Then, refill the injection kit and force the needle all the through the carpet cushion and empty the solution under the carpet pad to treat the sub-floor. Clean the kit and keep it in the protective cover when not in use.